Energy light lamps use LED lights to simulate natural sunlight. They’re designed to improve your energy levels, your mood and help regulate your sleep patterns. Manufacturers recommend that you use these devices in the morning or during the midday. 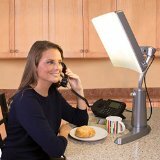 Satisfied users say that they use their mood-boosting therapy lamps while they are at work and even while eating their breakfast before starting their day. Sometimes know as Seasonal Affective Disorder lights- these durable therapy lamps are used for variety of reasons, many enjoy using them to treat seasonal depression symptoms. Let’s take a look at five of our favorite energy therapy lamps. How does light therapy affect you? 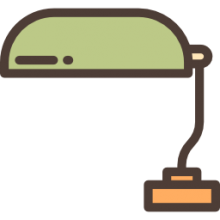 Why should you try energy lamp therapy? What other medical conditions can phototherapy treat? Are there any risks to using light therapy? What should I do to start using phototherapy? Is energy light therapy a scam? Can you get the same benefit from being outside? Can everyone use an energy therapy light? 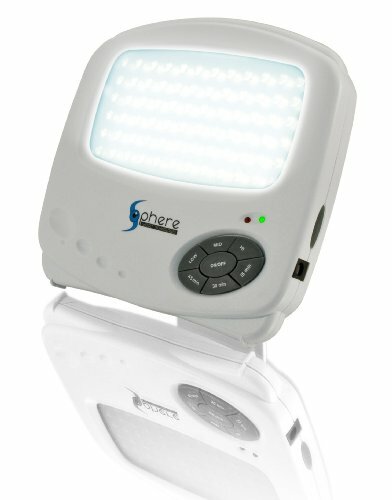 This Sphere Gadget portable light system is capable of emitting 10,000 lux wide-spectrum light that mimics natural sunlight without the negative effects of UV rays. The light it produces is glare-free and flicker-free. It also comes with a timer that you can set to 15, 30 and 45 minutes. Moreover, its LED bulbs do not emit heat. This product is ideal for regulating sleeping patterns and improving energy levels. With its compact design, you can easily carry it with you on trips. Boost your mood and energy using this ion therapy lamp- it is lightweight and made of durable plastic material. Users have reported that it has had positive affects balancing their body clocks. It emits 10,000 lux-light and negative ion therapy that will help you feel rested and refreshed. It also produces 17,000 Kelvin of UV free light that is equivalent to the blue sky light in the North Pole. However, this product is not suitable for people with Bipolar disorder. Also, rarely, some users have reported eye strain and agitation. 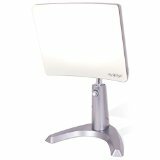 If you are looking for ways to improve your daily mood and energy level, this Verilux lamp may help. More than 1 million of these energy lamps have already sold- so you can tell that it is popular. Among its notable features is its ability to release 10,000 lux of even, broad and clean light field that is UV and flicker-free. It emulates natural daylight without causing harm to your skin. It is also a space saver and can be mounted on the wall. 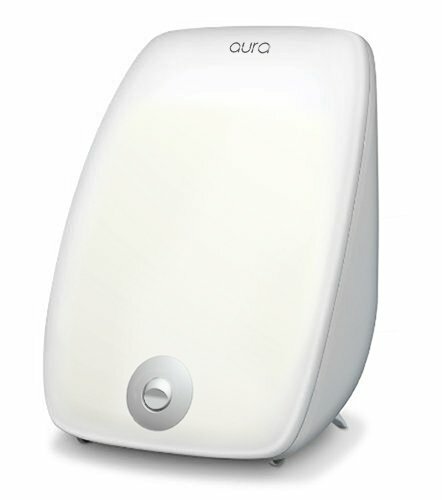 While this energy lamp has received good reviews, some users claimed that it did not really work for them. This Carex therapy lamp produces 10,000 lux of glare-free light that is soothing to the eyes. It is designed to have an adjustable angle and height and downward light projection as recommended by experts. Users can also choose between a therapy and task setting depending on your needs. This lamp is said to be beneficial for relieving the symptoms of winter blues, shift work adjustment, jet lag and certain types of sleeping disorders. However, some users noticed that it emits the smell of burning plastic. 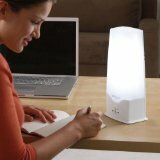 This six-inch therapy lamp makes users more alert and productive by emitting 10,000 lux of white light. This light is UV and flicker-free. 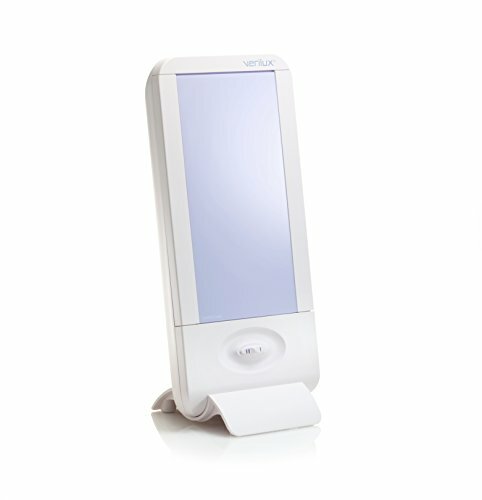 Users suffering from winter blues, insomnia, jet lag and unbalanced circadian rhythms can benefit from this light therapy gadget. It helps in compensating the body’s light deficiency without the harmful side effects of natural light. It can be used on top of desks or work surfaces and it can also be installed on the wall. When you buy this product, it comes with a one-year limited warranty. Light therapy is an alternative way of managing seasonal affective disorder.It will expose you to artificial light. Seasonal affective disorder is a form of depression that typically rears itself at specific times of the year. These usually occur in the winter or the fall. During a light therapy session, you will sit close by and energy lamp, or as it is often referred to, a light therapy box. This lamp will emit a bright light that effectively resembles natural outdoor light. Bright light energy lamp therapy units work by targeting the circadian rhythms, which function as the body’s clock. Individuals with seasonal affective disorder have internal rhythms that tend to become misbalanced during the winter period. Energy therapy lamps also target serotonin, helping to increase this neurotransmitter which can tend to naturally diminished during the fall and winter. In this way it supplements and boosts this mood enhancing neurotransmitter. Research scientists hypothesize that light therapy lamps are able to influence chemicals in the brain that are associated with your mood. This can help to alleviate seasonal affective disorder symptoms. Scientists have also discovered that energy lamps are effective for managing symptoms of sleep disorders, depression and other psychological and medical conditions. Light therapy can go buy some other names such as bright light therapy or phototherapy-so don’t be confused if you see those terms used to refer to energy light lamps. It has been proven to effectively work in conjunction with antidepressant medications. It may let you lower your actual level of the antidepressants you are taking. It has been scientifically proven as an effective intervention for seasonal affective disorder. If you suffer from insomnia or a type of non-seasonal depression many physicians have recommended phototherapy as an effective intervention strategy. Phototherapy units are cheap, the treatment is safe and boasts no side effects. While energy light lamps have been implicated in the treatment of the conditions we outlined above, there are also some other medical and health conditions that it has at least some anecdotal effectiveness for treating. One new and interesting application of energy light therapy is for treating psoriasis. When used for treating skin conditions, the energy light must be ultraviolet light. The most common side effects reported from the use of phototherapy include nausea, headache, eyestrain, agitation. These are usually mild and do not last. If you do experience any of these side effects, try moving away from the light or decreasing the amount of time you’ve been exposed to it. You can also take some breaks from a photo therapy session. If the problem is ongoing, speak to a physician to make sure that there is something else going on. While many people go out and purchase an energy light lamp-it’s often advisable to speak to a physician prior to purchasing and using one. Make sure that you consult with the doctor who can alert you to any precautions you should take. There are many great energy light lamps available for purchase– if you look on Amazon you will find a vibrant community of adherents who rate all of the best lamps and answer questions regarding their use and effectiveness. Suspicious of its efficacy? It’s the hallmark of a wise consumer to be suspicious of unfounded claims. However there have been over 60 interesting research studies that have gone a long ways to demonstrate the clinical effectiveness of energy light therapy for seasonal affective disorder. In fact, a 1999 reports entitled the Canadian Consensus Guidelines for the Treatment of Seasonal Affective Disorder recommends bright light therapy and energy therapy lamps as a primary intervention for seasonal affective disorder. As well, research has also indicated that for individuals with subsyndromal seasonal affect of disorder, which is also known as winter blues, energy light therapy can have a positive benefit. If you’re able to get outside for prolonged periods of time and receive healthful amounts of sunlight, then you probably could do that instead of purchasing an energy therapy lamp. However, for people that live in areas where there is little sunlight, where they have to be indoors for an office job, for example, it may make sense to purchase one of these therapeutic energy lamps as a natural alternative to sunlight. 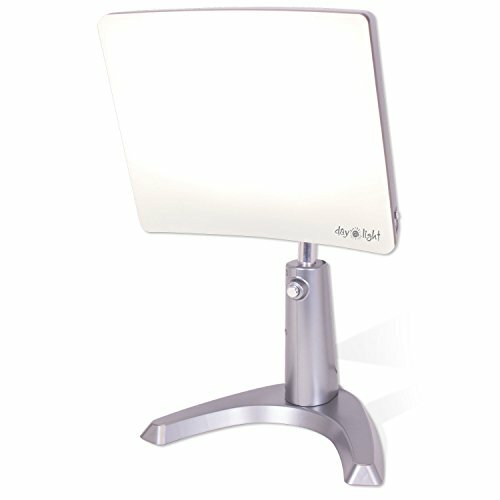 For the most part there are no significant contraindications for bright light therapy systems. However, if you suffer from our your shoes like cataracts, retinal detachment, glaucoma war has predisposing medical issues for our problems like lupus or diabetes, Or if you’re using a an ointment or lotion with medicinal properties like Retin-A, or if you have particularly sensitive reactions to light then it may make sense to consult with a physician prior to using a bright light therapy system. If you are interested in investigating energy light therapy units, make sure you read our reviews here and if necessary consult with your physician. 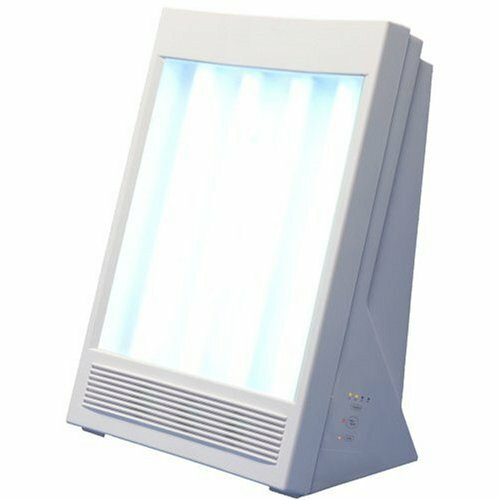 We have found five of the best units available to provide you light therapy if you suffer from seasonal affect of disorder or if you just feel the need to get some supplementary sunshine while you are at your office job. One underrated way of understanding the potential benefits these units can provide is to read the questions and answers section on Amazon product pages. You might be surprised to learn that there is a robust informational presence on these pages with many consumers who have purchased the products you are thinking about buying yourself answering questions about them. Overall, these are interesting and relatively inexpensive alternative therapy devices that can be an effective solution to seasonal related mood disorders.